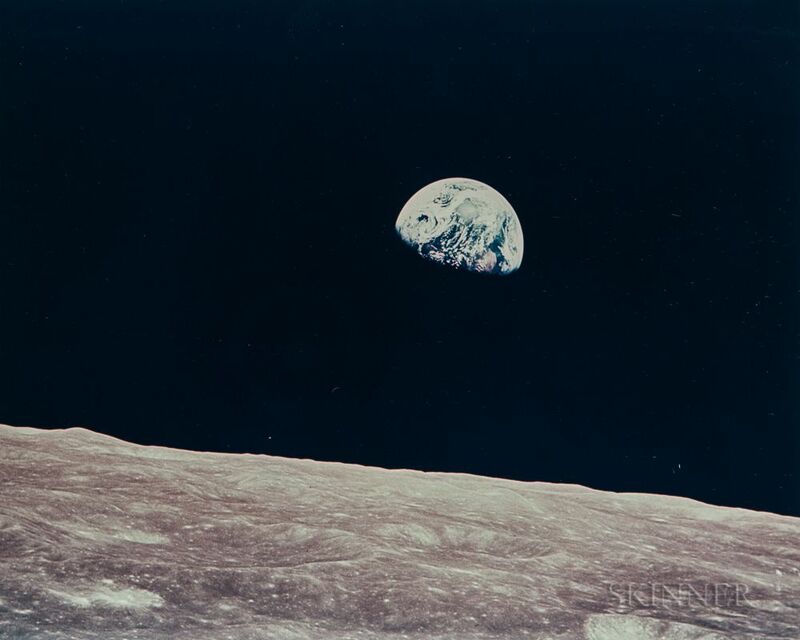 First Earthrise seen by human eyes, Apollo 8, December 1968. 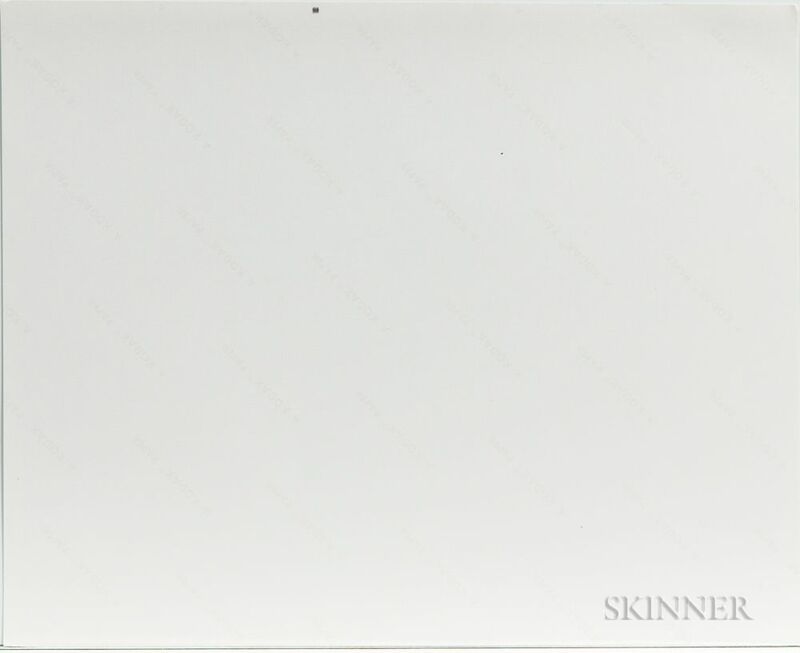 Vintage chromogenic print on fiber-based Kodak paper with a 'A Kodak Paper' watermark on the verso, image size 7 5/8 x 9 1/2 in. (19.2 x 24.0 cm), unmatted. Condition: Subtle crack at l.l. corner of sheet. N.B. The Apollo 8 astronauts saw the first Earthrise ever witnessed by human eyes during the fourth revolution of the spacecraft around the Moon. William Anders took three photographs during the event. 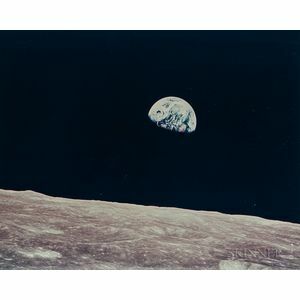 The first was black and white, followed by two color photographs, including this celebrated view of planet Earth appearing over the bleached lunar horizon. 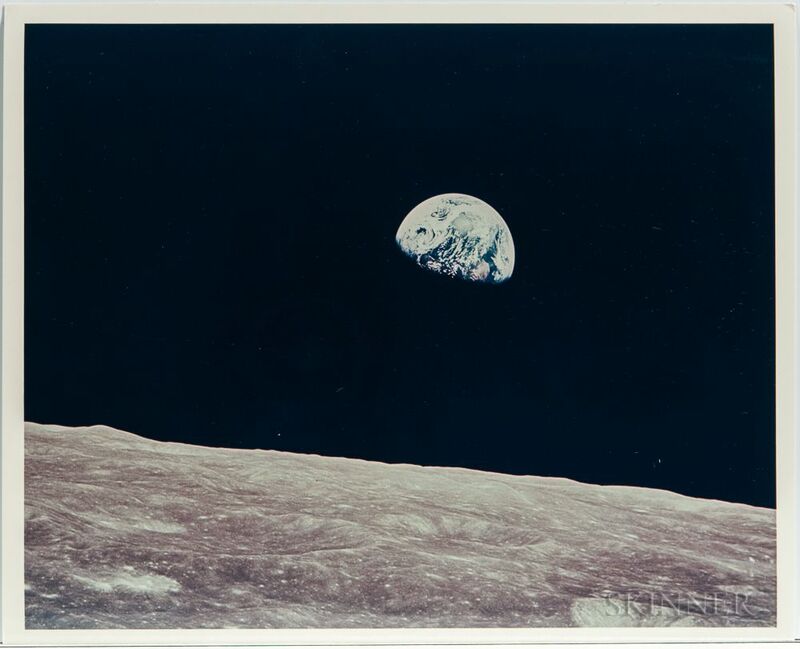 'There was nothing in the plan for an Earthrise photo,' explained Anders. 'Indeed, we didn't even see an actual Earthrise until, on our third orbit, we changed the spacecraft's orientation to heads up and looking forward. As we came round the back side of the moon, where I had been taking pictures of craters near our orbital track, I looked up and saw the startlingly beautiful sight of our home planet 'rising' up above the stark and battered lunar horizon. It was the only color against the deep blackness of space. In short, it was beautiful, and clearly delicate' (Jacobs, p. 33). The NASA negative number is AS8-14-2383. Literature: Schick and Van Haaften, p. 98; Chaikin, Space, p. 83; Newhall, pp. 136-37; Jacobs, p. 32; Reynolds, p. 111.